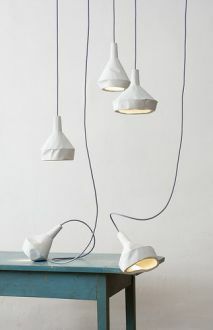 Two German designers (Miriam Aust and Sebastian Amelung’s) re-think the potential of concrete pendants and create an amazing lighting identity which appears to be like crinkled paper forms. 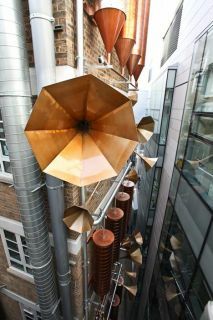 A Lullaby factory hidden in the courtyard of London's Great Ormond Street Hospital bring joy and imagination not only to the children but to everyone who visits the hospital from staff to patients. Charge your mobile phone using the heat from…your coffee!!! 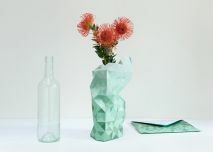 The Paper vase designed by Pepe Heykoop, aims to be sold and help at least 700 people in the community of Mumbai, in order to be provided with healthcare, education and jobs within the next eight years. The concept of the design is to transform any glass jar or bottle in a faceted vase, by covering them with paper. These vases are handmade by the women of the Pardeshi community in Mumbai's red light district.